Tigga had a great time at the 3rd International Berlin Bat Meeting: Bats in the Anthropocene, where she opened the session on education and outreach with a plenary talk entitled “From research to outreach: integrative approaches and a call to arms” which was well received. The conference was a great success — congratulations to the organizers Christian Voigt and Ana G. Popa-Lisseanu. 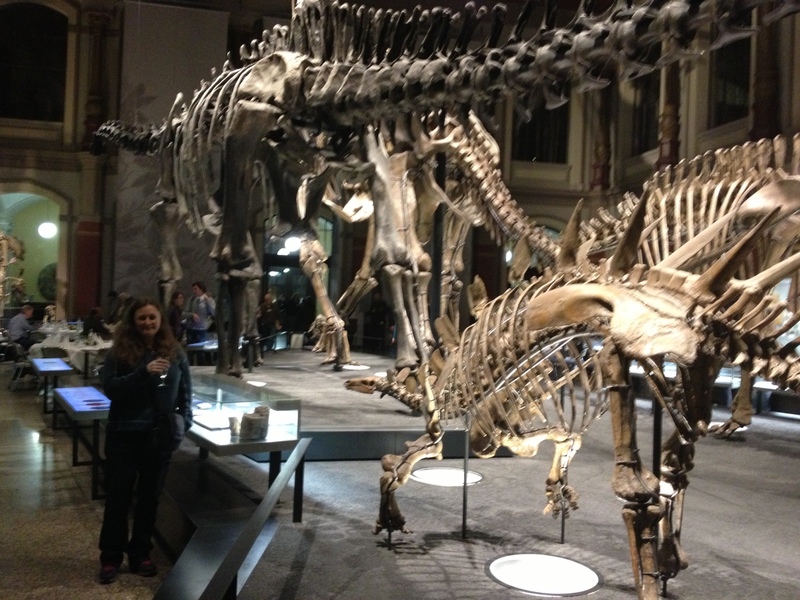 Tigga at the conference banquet in the famous dinosaur hall of the Museum of Natural History in Berlin. She then went on to give a seminar (“Bat Diversity and Conservation in SE Asia”) at the Max Planck Institute of Ornithology, hosted by Daniela Schmieder of the late Bjoern Siemers’ Sensory Ecology Group. It was a marvelous trip all round!